Army Document No. 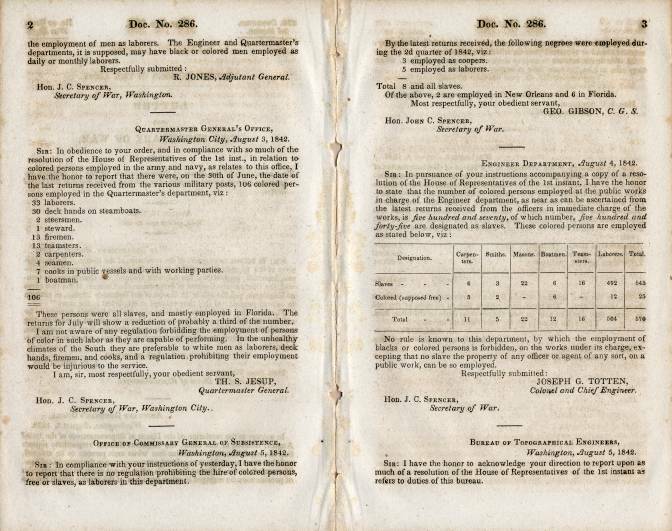 286 "Colored Persons in the Army" from the Secretary of War of the Unites States printed in 1842. 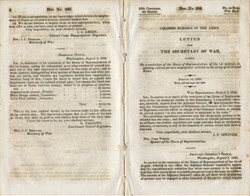 This historic document was printed by order of the 27th Congress 2nd Session to address "Colored Persons in the Army" and is over 170 years old.